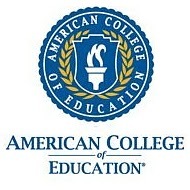 American College of Education is an accredited, for-profit college based in Indianapolis, Indiana, delivering online Master and Doctor of Education degree programs. Digital Tools for the K-12 Educator via Canvas Network 5 weeks long 5 weeks long 7th Oct, 2013 No reviews yet. Introduction à HTML5 - Animations et jeux via France Université Numerique 7 weeks long 7 weeks long 29th Jan, 2018 No reviews yet.